One culinary tool that every home cook should have is a cast-iron skillet. 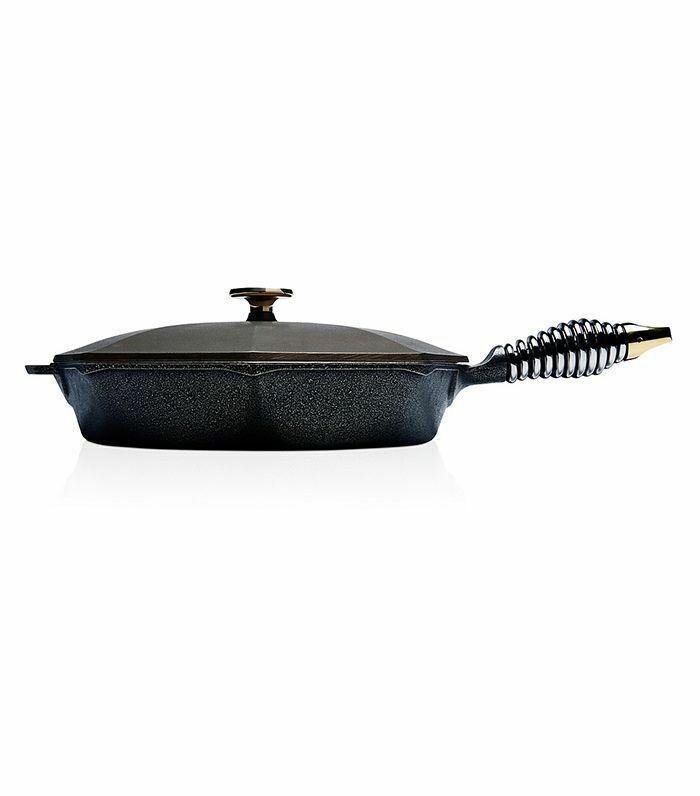 The sturdy and long-lasting pan, which conducts heat like no other material, is ideal for searing meat and caramelizing vegetables. 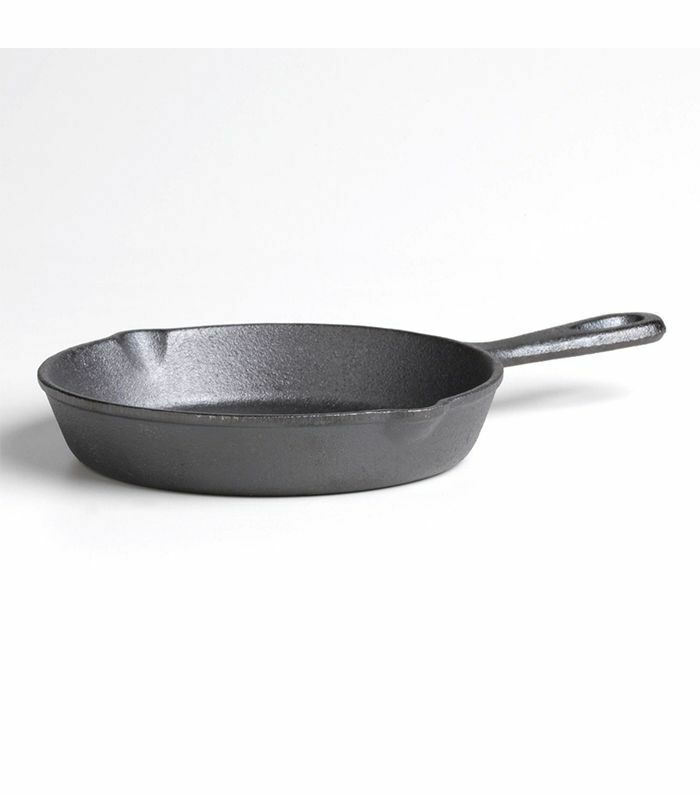 Fortunately, a well-seasoned skillet is naturally nonstick (be sure to read up on how to clean and season a cast-iron skillet) and a truly versatile cooking vessel. You can deep-fry chicken, bake eggs, and even make an apple pie in a cast-iron skillet. Plus, it goes from the stovetop to the oven in one swift movement. 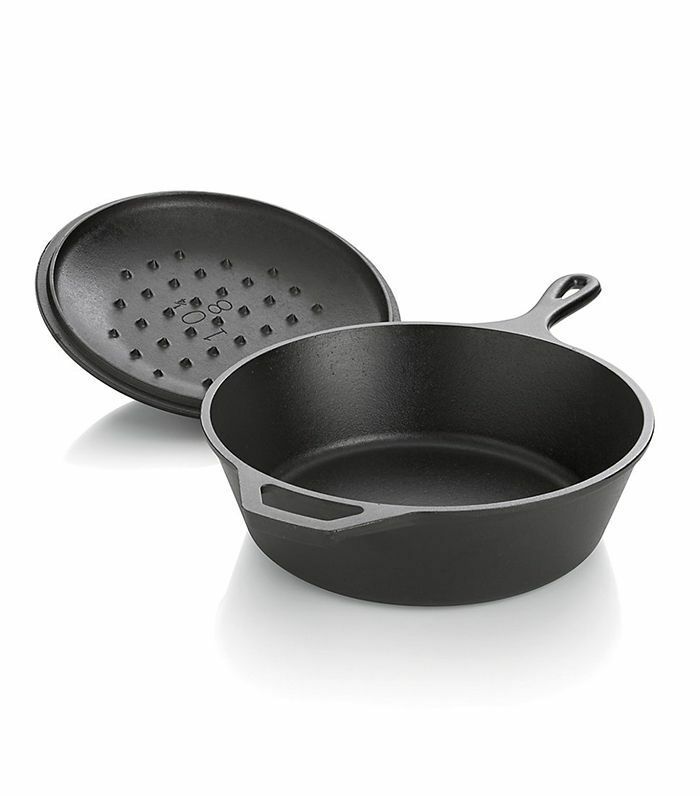 Of course, because cast-iron skillets transfer heat so well, it’s important to take care when using one—you don’t want to burn yourself! Always use an oven mitt when you reach for that handle. But back to the good stuff. 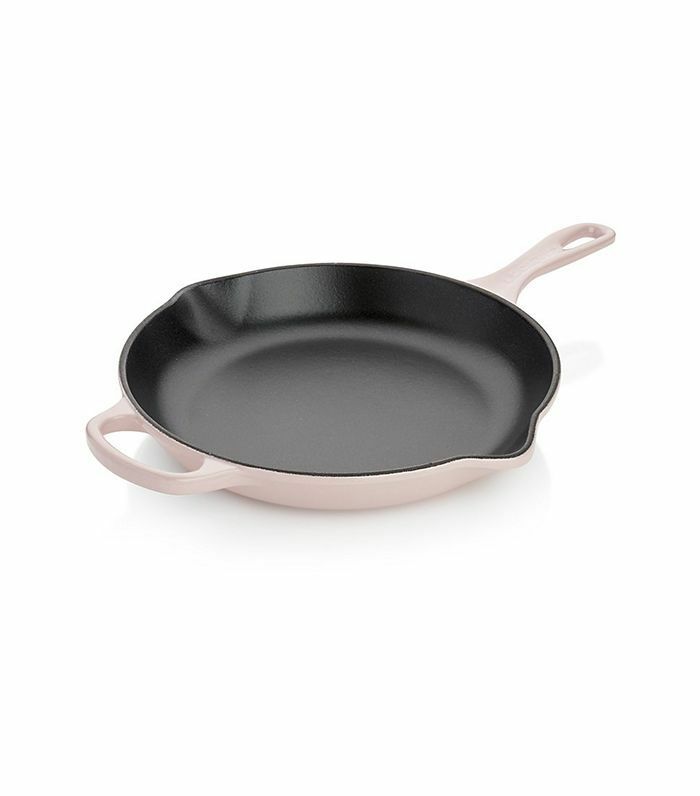 Wondering what sort of delicious dishes you can make in the pan? Here are 14 excellent recipes to encourage you to experiment with your cast iron. Almond ricotta and spinach walnut pesto are the star components of this delectable vegan skillet recipe by The First Mess. This is a cooking-to-impress type of dish, and vegan or not, guests are sure to request seconds. No tortilla rolling is necessary with this open-faced enchiladas recipe, courtesy of Half-Baked Harvest. One pan is all you need to cook these up, and it takes less than an hour from start to finish. Top with a fried egg and freshly sliced avocado for a little extra oomph. Chilaquiles are one of the ultimate comfort foods for breakfast. They're everything good about a savory breakfast: crispy with just the right balance between spice and tang. This vegan version by Minimalist Baker uses tofu spiced with cumin, garlic powder, and chili powder as its center ingredient. This simple pull-apart appetizer is a practice in perfection: Buttery rolls are mixed with sun-dried tomatoes and topped with oregano. This Mediterranean-inspired dish works as the perfect side to a soup or salad and could even be stored in the fridge as a snack on its own. One of the best ways to make use of your cast-iron skillet is with this no-nonsense steak fajitas recipe by Foodie Crush. It combines thinly sliced steak with orange and red bell pepper, sweet onion, lime, and avocado, along with a homemade fajita seasoning blend that will soon become a staple in your dinner recipe rotation. Gruyère cheese, thyme, and oregano make for an unforgettable Dutch baby recipe by Spoon Fork Bacon. This savory turn on a typically sweet dish makes for a delightful appetizer or side. It's light but satisfying and oh so addictive. This is a brunch frittata so good we would also cook up for lunch or dinner—we're not too fussed about time when it comes to a mix of ingredients we love. As the name promises, bacon and heirloom tomatoes mix with basil as a swap for lettuce to make this simple frittata. It all cooks in one pan. All you need is to have your boiler at the ready. One pot is all you need to make this curry beef and broccoli with cashew butter by Faith Food Fitness. The recipe is a simple one, and it only takes 30 minutes from prep to finish. Serve it with cauliflower rice for a low-carb addition. A little indulgence here and there is a necessity, and this creamy skillet mac and cheese by Spoon Fork Bacon is one we can't wait to try. Featuring Brie and Camembert cheeses, this recipe is the perfect comfort food. Thyme, ginger, and lemon make for a new way to flavor this classic recipe. This breakfast skillet recipe by The First Mess is completely plant-based and features a recipe for a cilantro jalapeño sauce that serves as a delightful finishing touch. Some of our favorite ingredients, like sweet potato, black beans, and avocado, make this a breakfast skillet that's easy to throw together and filling to boot. Anything caprese is worth mixing up if you ask us, and this cauliflower caprese skillet by Faith Food Fitness is no exception. The recipe takes this typically cold appetizer and makes it heartier with the addition of cauliflower patties and a ragù sauce made with ground turkey. Shakshuka is one of the best cast-iron skillet recipes to learn, and this artichoke variation by Half-Baked Harvest is one of our favorite iterations. You only need a single pan and 30 minutes to throw this together. Artichoke hearts, marinara sauce, eggs, bell pepper, and goat cheese make this a simple-to-make recipe that's packed with flavor. Didn't think you could make pizza in a skillet? You certainly can, and we recommend the deep-dish variety. Minimalist Baker's deep-dish pizza recipe can be tailored to your own tastes. Minimalist Baker includes a variety of veggie toppings like eggplant, green pepper, and mushrooms. Make the homemade dough featured in the recipe or opt for a store-bought option to save on time. No list of the best cast-iron skillet recipes would be complete without a little something sweet, and this peanut butter–stuffed chocolate chip skillet cookie by Half Baked Harvest is at the top of our to-make list. Half Baked Harvest serves its version topped with vanilla ice cream. 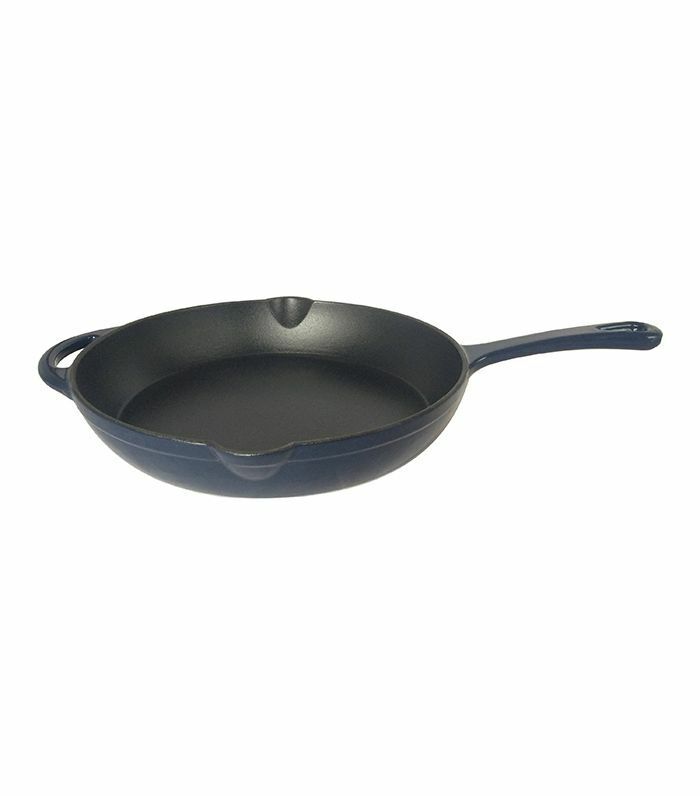 What do you love to make in your cast-iron skillet? This story was originally published in December 2015.